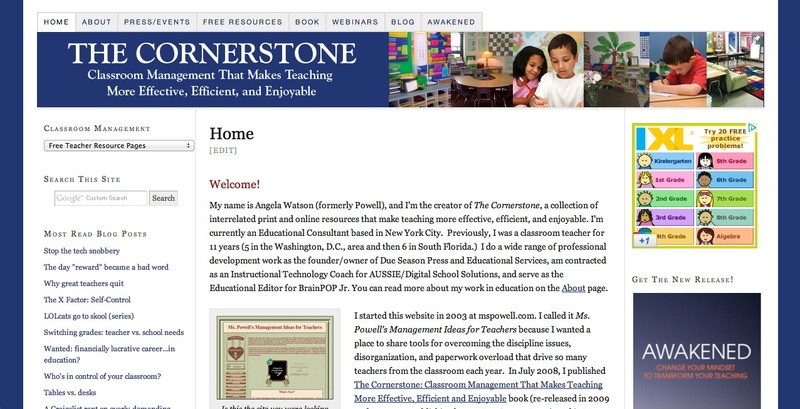 The Cornerstone Devotions for Teachers: Complete. It was the compliment I never thought I'd get. Someone who knows me quite well remarked that I'm a very patient person. "Wow, Angela, I'd be so frustrated in your situation. That's so cool that you have such a peace about it and are just content to wait patiently." "Why is that so funny?" she asked. She nodded. "I mean, everyone has their moments, but I would definitely say that overall, you're a patient person. Don't you see yourself that way?" I paused for a moment and thought about all the personal things I've confided in this friend and all the tough situations she's seen me through. How could she possibly think I was patient? Then I realized I'd only known that friend for four years. She didn't know me before I started following Christ, or in those first few shaky years when I wasn't strong in my beliefs or (more) consistent in my behavior. She honestly couldn't picture me as self-centered, impatient, and rude like I know I was...and often still criticize myself as being. In many ways, I still think of myself as the person I used to be at the beginning of my journey with Christ. I forget how far God has brought me and fail to recognize just how much progress I've made. Isn't this true even beyond my spiritual walk? 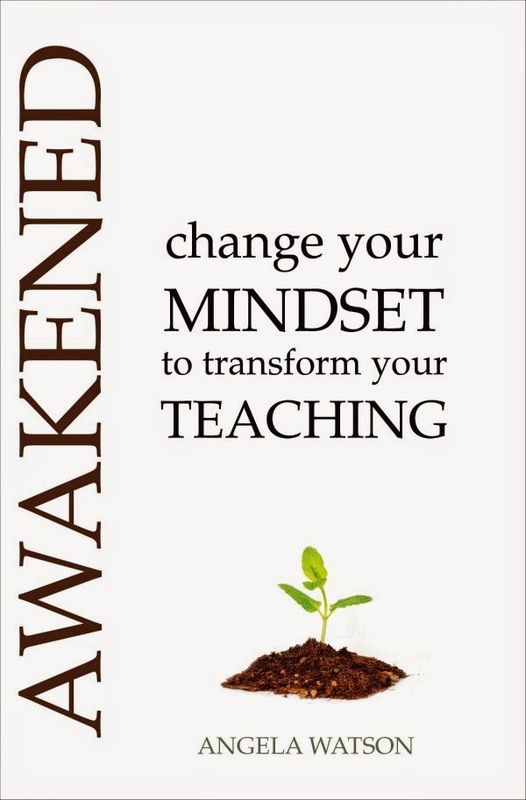 As teachers, we sometimes grow frustrated with ourselves for not having accomplished as much as we'd like. We see only our shortcomings: when we yell at the kids, when we're too lazy to plan, when lessons go poorly, when we don't step up like we should. We define ourselves on the basis of every mistake we've made. We speak judgment and negativity over our practice: I'm disorganized. I'm bad at teaching science. I'm not tech-savvy. I'm not creative. And sometimes we see only the shortcomings of our students. We complain about a child having tantrums every week and forget that he used to have tantrums every day. We lament that a child is reading two years below grade level and forget that she used to refuse to pick up a book and try at all. We get so bogged down in the daily tedium of slow growth and that we lose sight of how much our students have progressed since the year started. So why do we fail to recognize improvement? Because we view things through human eyes rather than through God's eyes. God doesn't constantly replay our mistakes. When He looks at His children, He doesn't remember all the times we fell short. Our sins have been removed as far as the east is from the west. Neither does God view us in terms of how far we have to go. He sees His children as restored. Maturity is a process. But we know that He who began a good work in you will carry it on to completion until the day of Christ Jesus. We know from His Word that we are accepted, loved, redeemed, and forgiven. If God views us as perfect and complete in Him, then we'd do well to bring our mindsets in alignment with His. God rejoices over us even in our current state. We should be rejoicing with Him! If you are feeling bogged down by a spirit of condemnation or frustrated with a lack of progress, remind yourself of where things started. Each level of improvement made by me, you, and our students is part of God's perfect plan. Our loving Savior views this process as a thing of beauty: let's delight with him in the transformation. Thank you I soooo neeeeeeded to "hear" this today! THANKS FOR SHARING THE WORD!! IT IS SO TRUE AND A WONDERFUL REMINDER. YOU ARE A BLESSING TO THE TEACHERS WHO VISIT THIS WEBSITE. 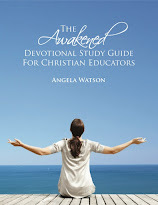 First year of teaching has been a journey, so thank you Angela for your words of encouragement and scripture choices.